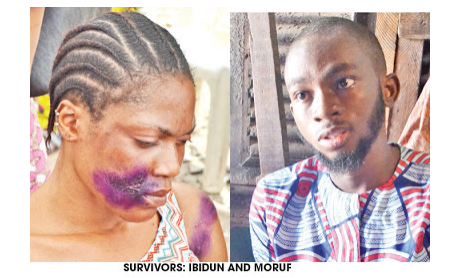 As loved ones say final goodbye to the departed in such mournful mood, some survivors of the collapsed building at Ita Faaji, Lagos Island, have shared testimonies of their narrow escape from death. One of them, Mr. Moruf Abdulhakeem, a Primary 5 and 6 teacher in the affected school, Ohen Nursery and Primary School, said he went out to buy food and on his way back to classroom at about 10 am, the incident occurred. second floor of the building but before he could take another step, the entire structure came crashing down in debris and dust, with a deafening noise. Located at No. 44 Massey Street, Ita-Faji, on Lagos Island, as at the time of filing this report, rescue work by locals was still ongoing at the scene where, so far, 25 bodies are said to have been dug out and taken to the mortuary while about 50 have been rescued alive although LASEMA had earlier claimed that they had rescued all those trapped under the collapsed building, a claim which some of the residents faulted as untrue and non-reflective of the fact on ground and which is: there are still victims trapped under its debris. 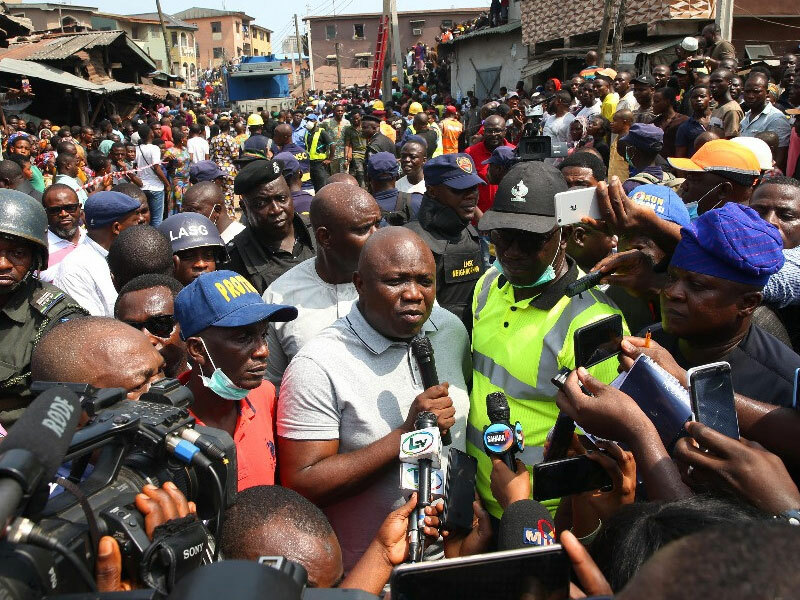 As for the dilapidated nature of the collapsed building housing shops, school and residential quarters, of that there is no argument. The Sun investigation showed that what happened was due to as much a human error of judgment as official dereliction of duty. It learnt of how before this tragedy, the house had been marked down for demolition by officials of the local government but the owner managed somehow to wriggle himself free from the gripping hands of the law. As for those who expressed concern, he was reported to have asked them to mind their business as he was minding his. When the reporter visited the place following the hints, he saw blue boxers hanging from one of the windows on the first floor, a proof that there is truly an occupant in the house. Also, at the side of the house, is a store with the name: “Ewa Olorun Princes Store.” It was half-opened. A woman sat in the shop mindless of the danger looming above her. When The Sun approached her, she refused to talk but made a side comment to her friend in Yoruba language. “Has he come to bring the house down by himself,” she asked rhetorically.